Thread: Matchmaking unavailable at the moment, please try again later. Trying since last 3 days. Does it even work? Is this the game quality we are getting now? Are you opting in during one the of the two times the feature is available? Last edited by Mursilis; 11-22-2018 at 11:12 AM. Boring, don´t even understand why they started it. No one plays it! The Colosseum is "open" only twice a day, each time for 3 hours. 【Time】10:00-13:00 & 20:00-23:00. During this time, you can join the battle multiple times. No such information, are you making up things along the way? Im not gonna play this anymore! A trainwreck, a fiasco, a meltdown! I'm not entirely sure whether you're trolling or not. Just click the "?" 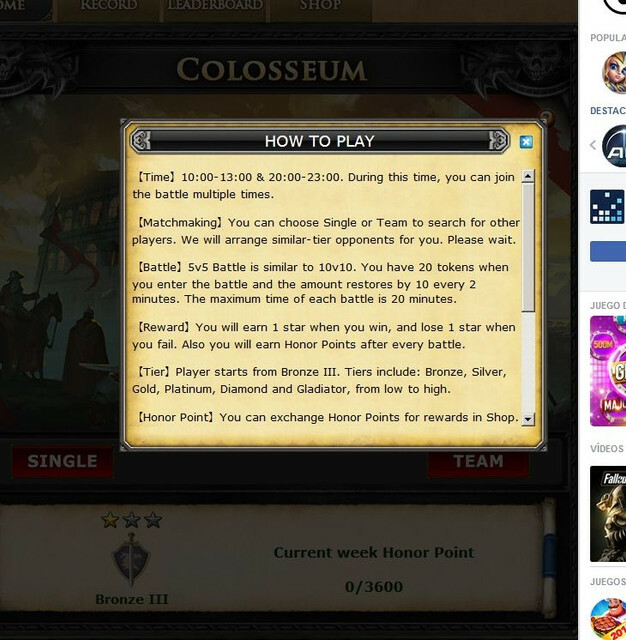 button at the top right corner of the Colosseum home page to get the info. Not in Firefox, want me to take a screenshot? Someone havent done his homework, this game is not for everybody! Last edited by Barathor; 11-22-2018 at 09:11 PM. And of course the game is not for everybody, its players are supposed to be able to read and perform basic clicking.